When Stephen was stoned to death, Paul was there. At that time, there was a great persecution on the Christians in Jerusalem. All the Christians were separated and lived in different places in Jerusalem except Jesus’ apostles. Paul was one of them who persecuted the church. He entered the houses of the Christians and arrested them and locked them up in the prison. 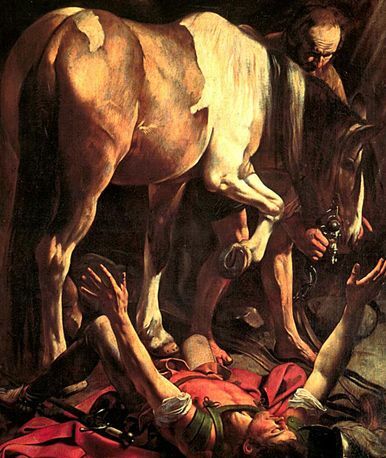 Paul persecuted the Christians determinedly and murdered many of them. One day, when Paul was going to Damascus to catch the Christians living there, the light of the Lord from heaven shone on him. God had blinded Paul’s eyes so the men who accompanied Paul lead him into the city. Paul couldn’t see for three days. During those three days, Paul didn’t eat anything. Ananias obeyed the Lord. He went to Paul and laid his hand on his eyes. Paul felt something like scales dropped off from his eyes and he could see again. After Paul had eaten some food, he felt stronger. Paul spent a few days with the disciples at Damascus. Then Paul began to preach to the Jews in the synagogues that Jesus is the Christ. Paul grew stronger in Christ and He more fervently preached the gospel to the people. After many days had passed, the Jews made plan to kill Paul. But the disciples helped Paul and let Paul down through a wall in a basket and Paul escaped to Jerusalem. When Paul arrives at Jerusalem, he wanted to join the apostles but they were afraid that he will harm them. Barnabas stood at Paul’s side. He told the apostles what happened to Paul on his way to Damascus that his eyes were blinded by the Lord; and how his eyes got healed; and how he converted to a Christian. So the apostle accepted Paul. While Paul was with the apostles, he preached the gospel to the people there. Paul debated with the Hellenists and they wanted to kill him. When Paul’s fellow Christians discovered their plot to kill Paul, they sent him away from Caesarea to Tarsus.